The fan base for the Wildcat faithful should increase as the university finally brings all its sports to on-campus facilities. ACU athletics reached its original goal of $30 million for a new football stadium last week. The university will break ground on the new stadium during sing song. Shotwell Stadium definitely holds a lot of ACU tradition, however fans didn’t show up to fill its 15,000-seat, high school stadium capacity. The apparent burden of driving nine to 10 minutes off campus caused people not to go. In my freshman year, as the season wore on, less and less students showed up to games. Students would rather stay up late and sleep in than drive to a game that’s merely ten minutes away. For example, this year’s home opener saw 7,327 in attendance. Within a week, that number dropped to 3,529 against Stephen F. Austin. After homecoming, attendance dropped to 3,567 against McNeese State followed by a season low 2,500 in the final game against Southeastern Louisiana. Even during the peak years of ACU football, fans managed to fill about half the stadium. The average attendance was about 8,796 per game during the 11-1, 2008 season. In 2015, that number dipped to just 5,137. Obviously, a 3-8 season did not help attendance, but this is supposed to be Div. I football. 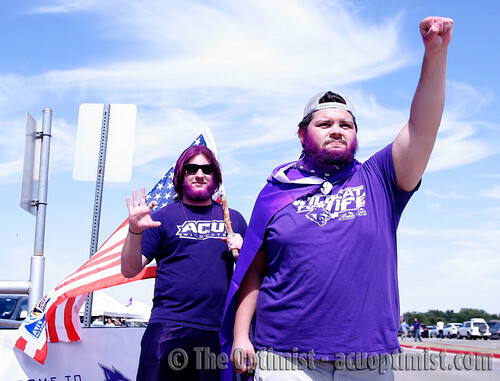 The university is asking fans from ACU and rival schools to drive to a high school stadium to watch Football Championship Subdivision level football. Every team in the Southland has its own stadium. If ACU represents the Southland Conference and Div. I, then the school needs a stadium that has Wildcats in the end zone, not Cougars or Eagles. Currently, ACU’s new digs will hold about 8,000, half of what Shotwell holds. But, a smaller capacity should be seen as a positive. Bigger does not always mean better. A full 8,000 seat stadium looks and sounds better than a half filled 15,000-seat stadium. 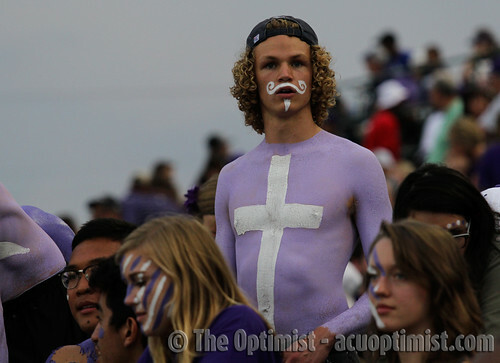 Also, the stadium will be covered in ACU logos not in Abilene and Cooper High branding. Georgia State, a Div. I school and ACU’s 2014 season opening opponent, is a prime example of this. The Georgia State Panthers finished their sixth year as a football program this season. The Panthers have suffered through the growing pains of being a new Div. I team. But, they managed to make their first ever bowl game. Georgia State plays in the 70,000-seat Georgia Dome and averages miserable attendance, below 11,000. Fans have to drive just five minutes off campus to attend games, but rarely do. An odd figure considering the school’s enrollment sits above 32,000. They may not be Georgia or Georgia Tech, but they have a large school that doesn’t support the football program. With an on-campus stadium, students have less excuses to miss games and are able to wake up, get out of bed and walk to a football game. The campus atmosphere on Saturdays would encourage students to attend games. The majority of students attending games are usually freshman and sophomores. If the university wants to get those students involved, then there has be a draw. Not to mention, the students living within a mile radius of the campus can hear the stadium on a Saturday afternoon. The tailgating and activities from this year will now be on campus. Social clubs and other campus groups will be all over the place on game day. Currently, the campus looks like a ghost town on Saturdays. Game days will add a new excitement and rejuvenation to the campus. In fact, in-conference opponent Houston Baptist saw an increase in attendance after moving to an on-campus stadium. HBU started football in 2013 and was forced to play in the BBVA Compass Stadium and Strake Jesuit Stadium for the inaugural season. BBVA was about 20 minutes from campus while Strake Jesuit was 10 minutes from campus. Houston Baptist struggled to get people to drive out to the stadiums even with the excitement of a new football program. BBVA also housed about 22,000 people and HBU didn’t come close to filling it. Fortunately, the Huskies moved to an on-campus stadium at a capacity of 5,000. Houston Baptist saw attendance rise 17 percent after moving to the new Husky Stadium in 2014. ACU has a real opportunity to revamp attendance at football games and it starts with a new stadium. When it gets here, students will have no excuse not to cheer on the purple and white.